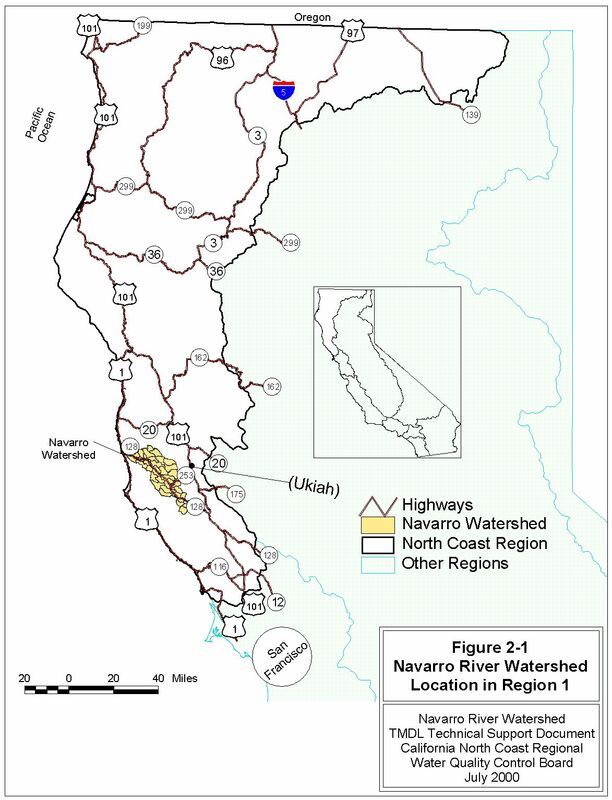 The Navarro River is included on the Clean Water Act 303(d) list for impairments associated with excessive sediment and high temperatures. 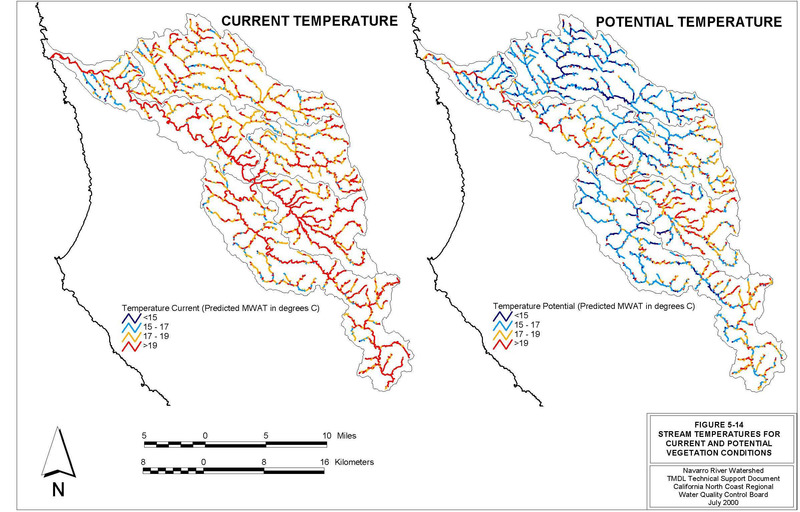 TMDLs addressing sediment and temperature impairments were established by the U.S. Environmental Protection Agency (USEPA) in December 2000. 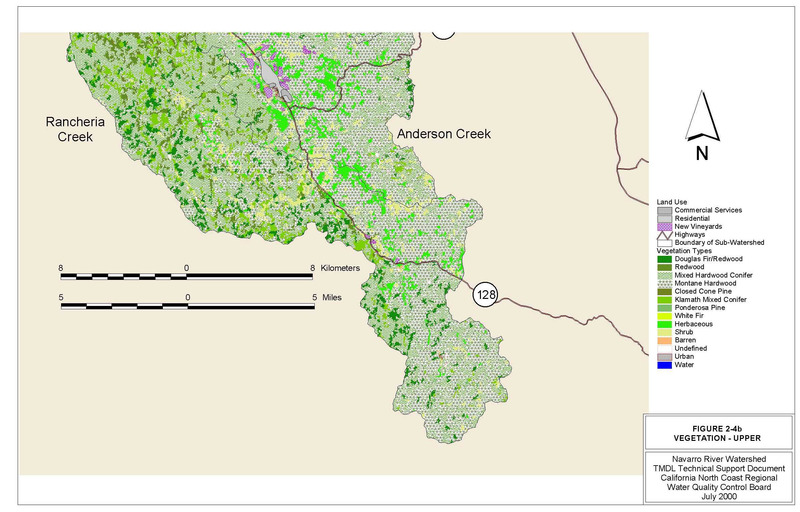 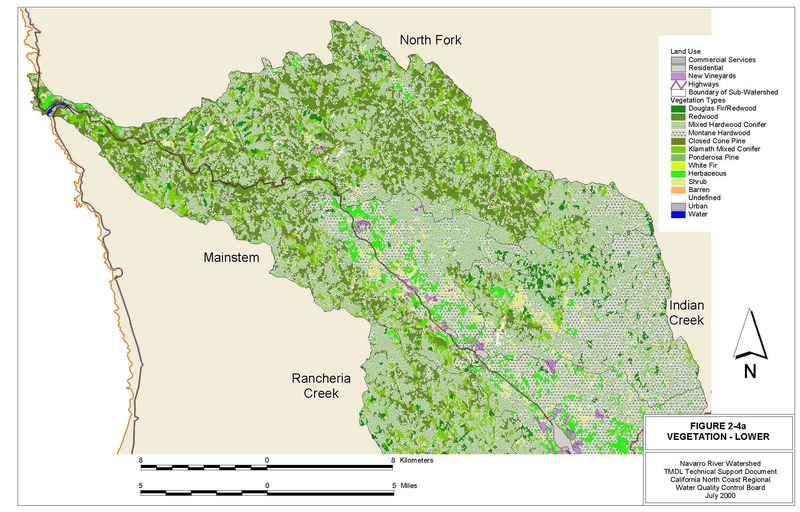 The USEPA TMDL documents can be found at http://www.epa.gov/region09/water/tmdl/final.html. 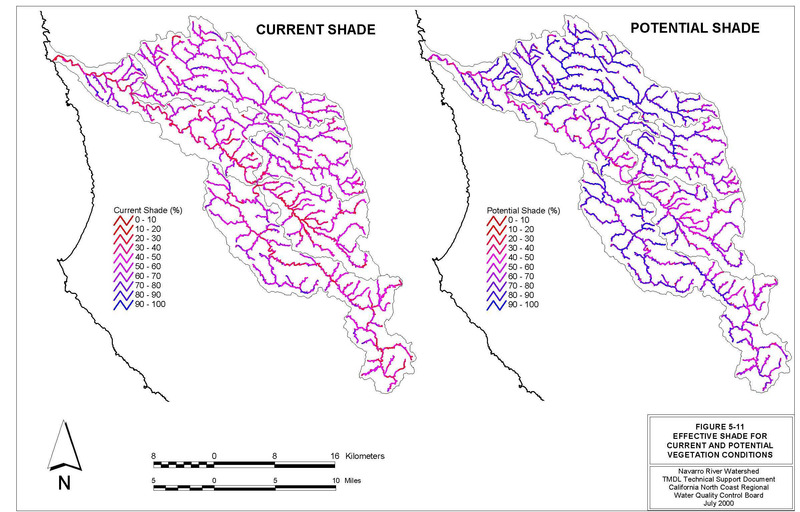 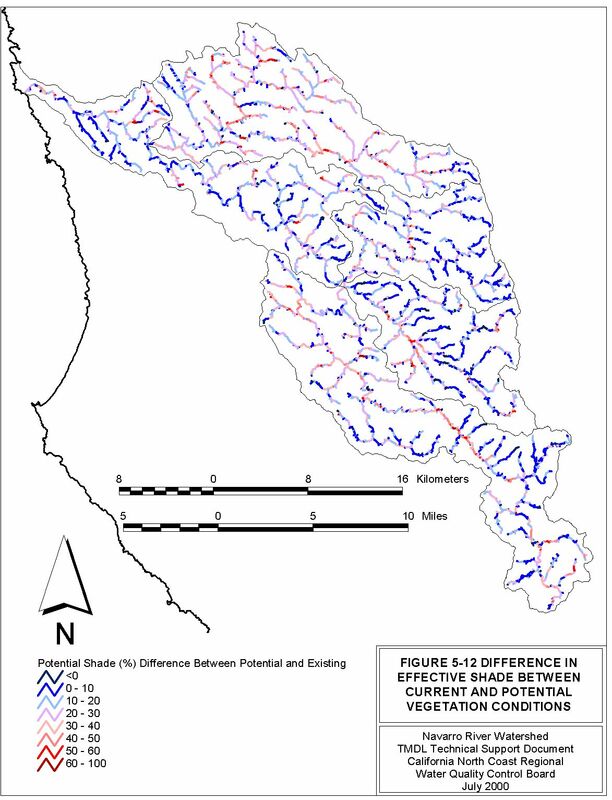 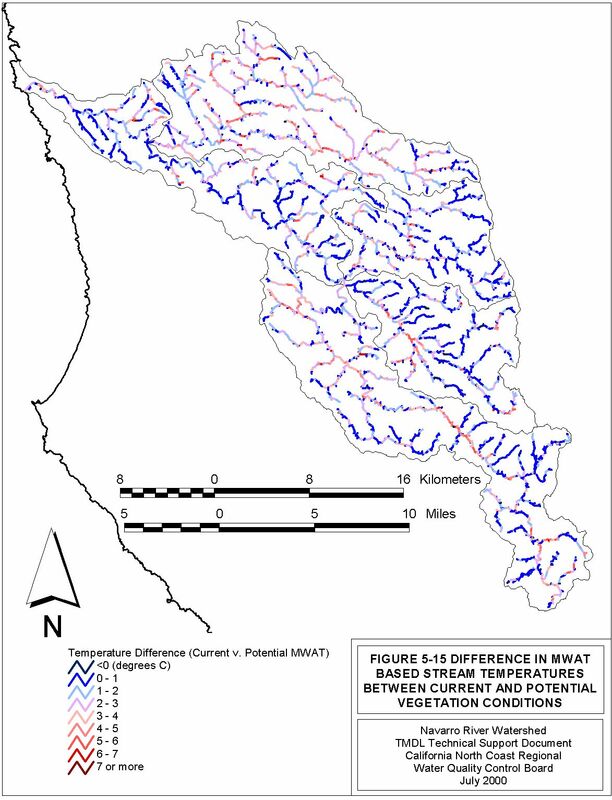 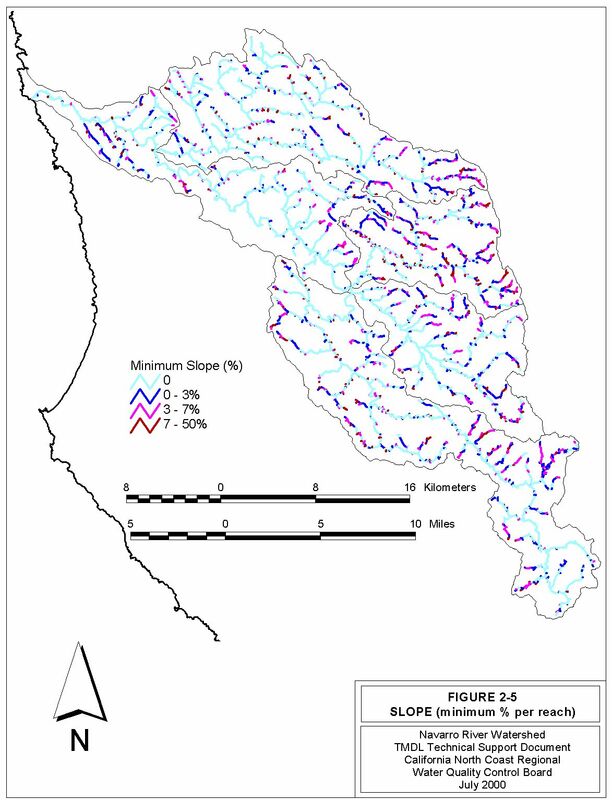 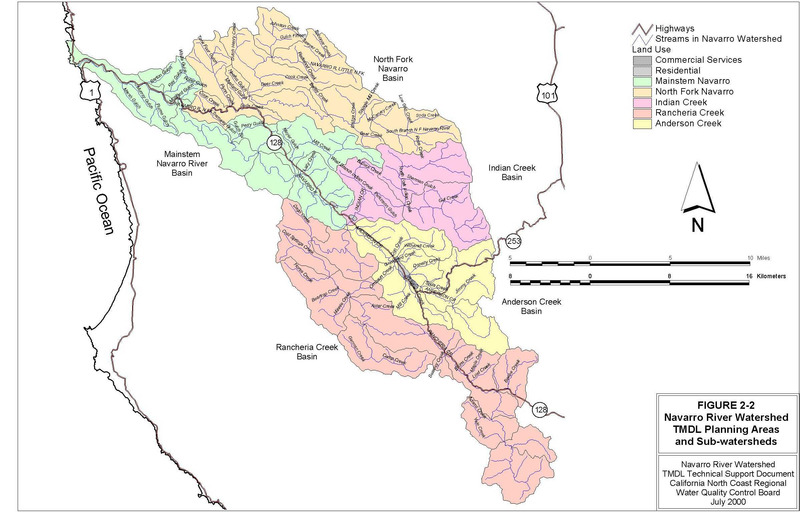 The Regional Water Board prepared a Technical Support Document (TSD) that addressed sources of sediment and temperature impairments, loading capacities, and load allocations necessary to restore sediment and temperature conditions supportive of beneficial uses related to the cold water fishery in the Mattole River Watershed. 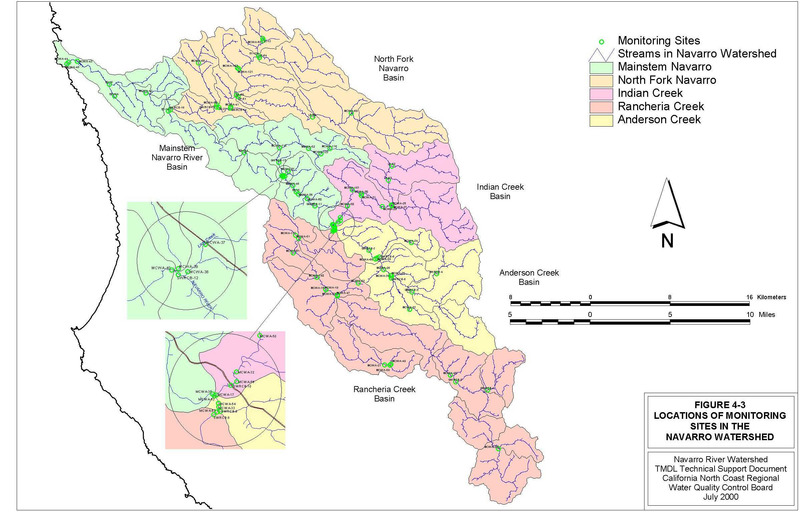 The TSD served as the basis for the USEPA's TMDLs. 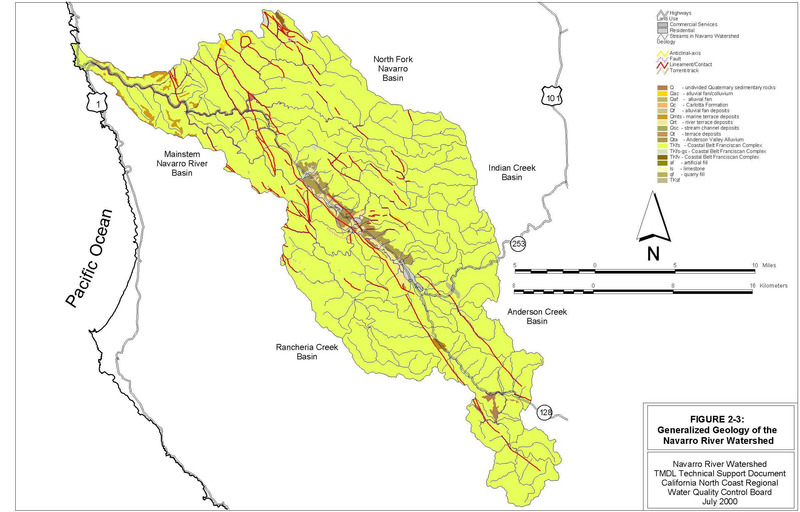 The Navarro River Sediment TMDL was included in Resolution R1-2004-0087, Total Maximum Daily Load Implementation Policy for Sediment Impaired Receiving Waters in the North Coast Region, adopted by the North Coast Regional Water Quality Control Board in November 2004.